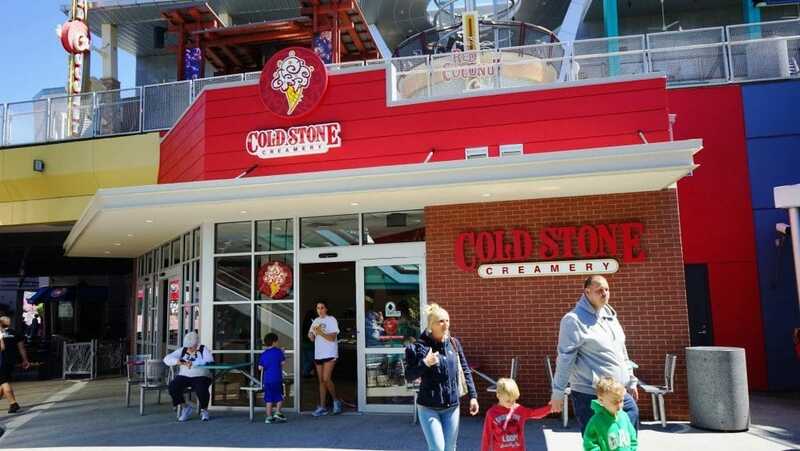 Now for the bad news: CityWalk’s Cold Stone location is rather on the small side – there’s only seating available on the outside, for example, and it’s still minimal. It’s a small price to pay to have the establishment at Universal Orlando, however (can you tell we’re big Cold Stone fans here at Orlando Informer? ), and visitors are always welcome to take their ice cream creations and stroll around the rest of the dining/shopping/entertainment complex. Reservations are currently not accepted. Brownie a la Cold Stone – French Vanilla Ice Cream, Hot Brownie, Whipped Topping, Caramel,Fudge and Pecans.